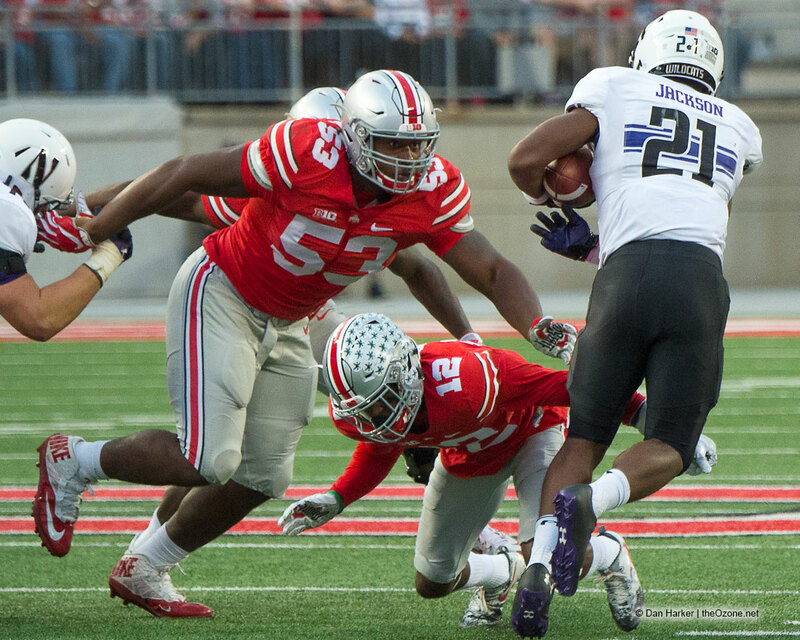 2016 Season (Redshirt Freshman): Davon Hamilton played in every game for the Buckeyes in 2016 as a backup … notched 10 tackles. Overview: Hamilton redshirted the 2015 season as a true freshman … Hamilton was one of the final commitments in the 2015 recruiting class … he was a three-year starter on both sides of the ball for coach Jay Sherrett at Pickerington Central High School … he was named first-team Associated Press all-state in 2014 after a 67-tackle, 23-tackle-for-loss season while helping Pickerington to an 11-1 record and into the second round of the state playoffs … also named the Ohio Capital Conference’s Ohio division player of the year and the Division I Central District player of the year … the No. 54 defensive tackle nationally according to Scout, which also listed him as the No. 10 tackle in the region and No. 6 in the state of Ohio … named all-Metro by the Columbus Dispatch … is from the same high school that produced Ohio State two-year starting center Jacoby Boren … is the son of Sabrina and Damian Hamilton.